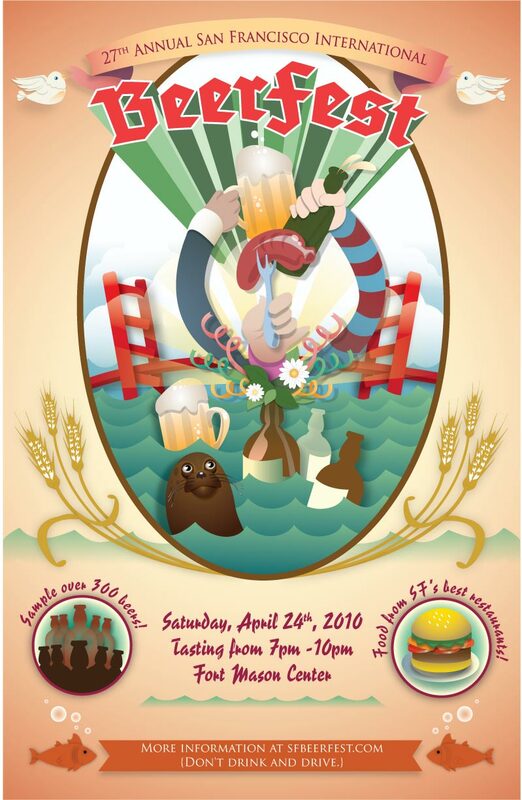 Works by Wythe Bowart: SFBEERFEST POSTER!! Class assignment for Ill 3. 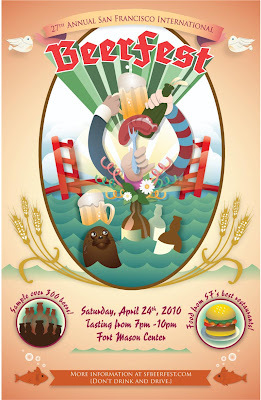 Make a poster for a local event. Sweet! I can see your design sense in here, even though the rendering style is so different from your other work. That's some darned nice Illustrator technique, too. Thanks Mark. Yes it is way different from my other work. Learning Illustrator is tough and I had to reinvent a little bit to speed things up ie not render at all. Too bad BeerFest is already sold out. haha. Just hung this one up here at the Powell building :) Your seal character is hilarious! This poster is a really fun image! haha. Thanks Lisa! I'm honored and humbled to have pieces on the wall. So much great work out there! I had a lot of fun making this poster. That seal was a hoot. He really loves beer. haha. wooooow- love it! you're not only amazing with paints but now with Illustrator? back off man- this is my turf! haha, no but seriously this is amazing. Great work! And now I want to have a beer with a sea lion.